5. Bob’s Red Mill Sorghum. An unfamiliar grain, for sure, but now I’m hooked; teensy, tiny little balls of carbohydrate. It will be nice to have another whole grain alternative to quinoa, wheat berries, and the like for salads and pilafs. Nutrition: For 180 calories you get 8 grams of fiber and 5 grams of protein with a bit of iron. What can I say? I love this company. 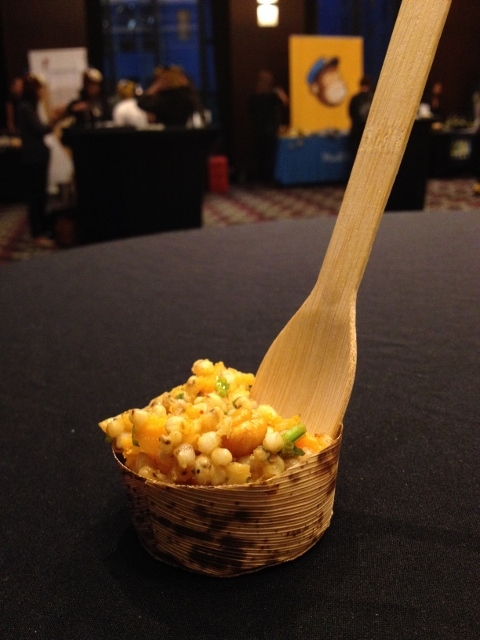 Why I Loved It: Chewy and al dente and so flavorful in this Sorghum Salad with Curry-Roasted Winter Squash and Crispy Chickpeas. 4. 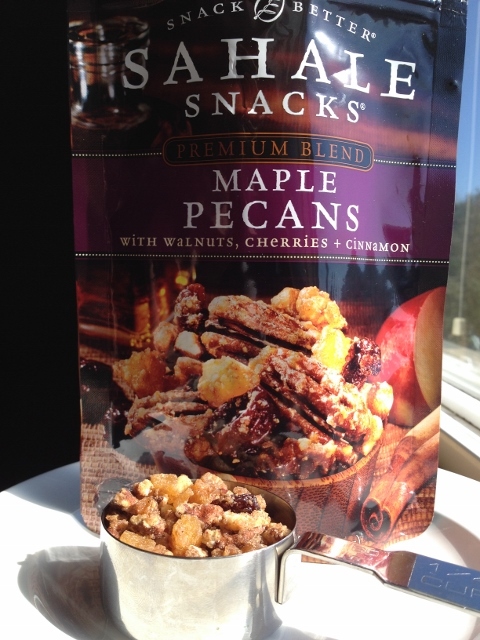 Sahalie Snacks Premium Blend Maple Pecans. Pecans, walnuts, dried cherries, and dried apples covered with maple and cinnamon. Geez. And it smells incredible. I may hold on to the empty bag and use it as an air freshener. Nutrition: Cholesterol-free (because it’s only made with plant-based ingredients) and gluten-free, but definitely not calorie-free. A quarter cup has 150 calories. Why I Loved It: THE perfect blend of salty, sweet, crunchy, chewy; all the things I’m looking for packed into one snack. 3. 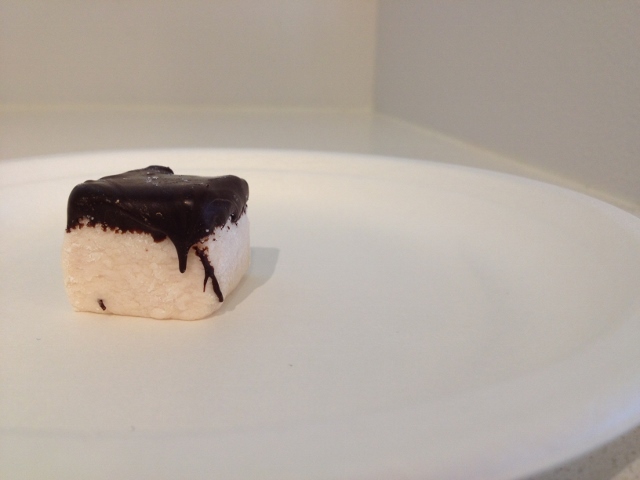 Mallow Chocolate Covered Cherry Vegan Marshmallow. It’s very, very close to being available. I’m talking about Mallow Artisan Marshmallows’ vegan product line. I was lucky enough to get to sample this new flavor at IFBC and I can tell you it will definitely be worth the wait. Nutrition: Marshmallows aren’t a health food, but in this case the portion size was right on; just a couple of creamy, chocolaty bites. Why I Loved It: Chocolate covered cherries are a favorite of mine from childhood as my dad used to get me a box every Valentine’s Day. So it was fun to have a slightly healthier and vegan version of this special treat. 2. 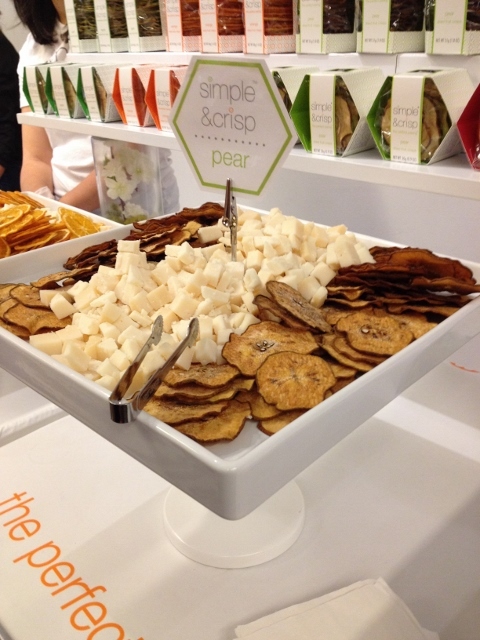 Simple and Crisp Dried Fruit. They’re delicious, pretty and healthy. Why didn’t someone think of this before? Thin, dried slices of fruit to use in place of crackers, as a filling snack or for making gorgeous hors d’ouevres. Nutrition: There’s nothing to them, and that’s a good thing. The pear is just pear, the apple has vitamin C added, and the orange has some sugar. And, you get 15 pieces for only 80-100 calories. Why I Loved It: The crisp texture was nice, especially paired with the chunks of cheese. Just think of all the ways you could use them – dipped in dark chocolate, paired with nuts and a drizzle of honey, or floating in your favorite water bottle. Nutrition: I haven’t seen the Nutrition Facts label for these yet, but I feel pretty good about endorsing them. Traditional limes are a great source of vitamin C with very few calories. Why I Loved It: Because you could use the pearls as a plant-based version of caviar or salmon roe on top of sushi, which would be quite appealing for the vegetarian crowd. The other reason they make me happy? 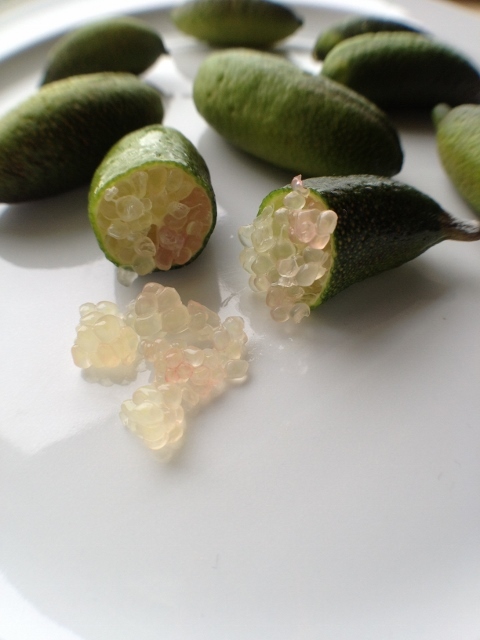 Because of this comment from one of the presenters, “I don’t know why we’re calling them finger limes when they so obviously look like toes.” Nothing makes food bloggers happier than discovering a new product that can inspire us in the kitchen or at the keyboard. Hopefully, something you’ve seen here will get you excited to shop, snack, steam or stir-fry your way to your very own new food creation. Any of these fun foods seem like a good fit for your pantry? Disclaimer: All of the products mentioned here were given as free samples to conference attendees but I don’t have any relationship with their companies and didn’t receive any monetary compensation for this post. However, I am mentioning IFBC to take advantage of a discounted registration fee for the conference. 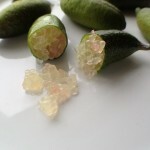 I LOVED those finger limes, too!! I missed out on the vegan marshmallows! Ahhh. So disappointed. I also didn’t get to the finger limes in time so the next day after the food/photography demo I asked Chef John if I could sample the one he had up on the stage. So wish we could get these finger limes in Canada! Hi Megan. It was nice to see you again, too. Wish we’d have found more time to chat. According to the website for the limes, it looks like they’ll only initially be available by mail order. Maybe we should create some demand for them so they’ll end up being regular stock in the produce departments in the U.S. and Canada! 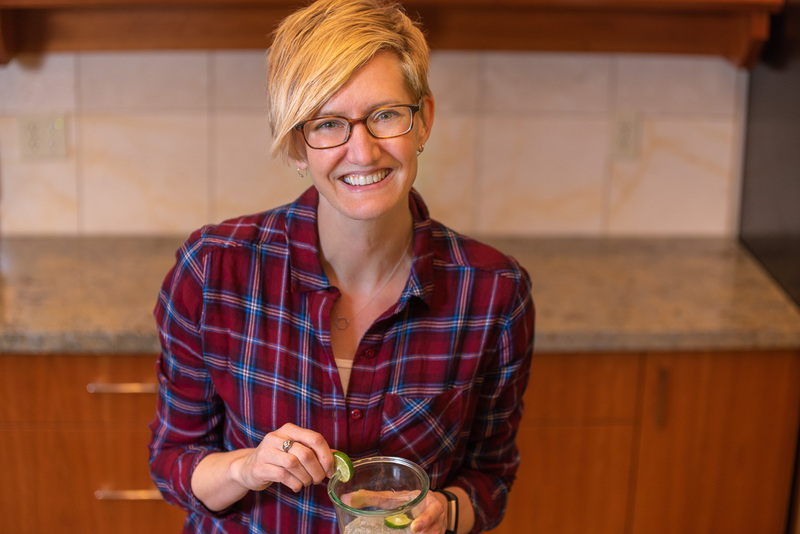 I missed the Saturday evening food fest– I had out of town dinner guests at home! Thanks for filling me in on some of the foods. I will have to try the sorghum, it’s been on my radar screen to try and I’ll bet PCC will have it. This year was my first time at IFBC and I loved it! Hi Mary. So glad you enjoyed IFBC. This list is actually from last year’s conference, so I’m working on a whole new list of yummy things from this weekend’s shindig! I hope you do try the sorghum. It’s really fantastic.